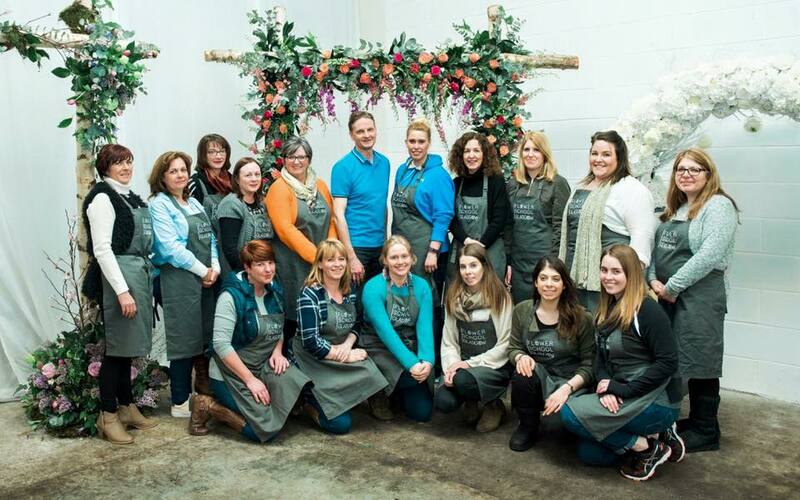 Since opening in September 2008, hundreds of students have attended workshops, demonstrations and professional classes at Flower School Glasgow which is located in the Mood Flowers studio space in Anniesland. From the start of 2015, the school has focused on providing classes for aspiring florists or those already working in the industry as well as the occasional hobby class for the general public. Classes on offer range from a 3 hour Bridal Bouquet class through to one week career courses as well as guest tutors from around the world. In 2016 one to one practical coaching days as well as strategic business coaching were introduced to the curriculum.